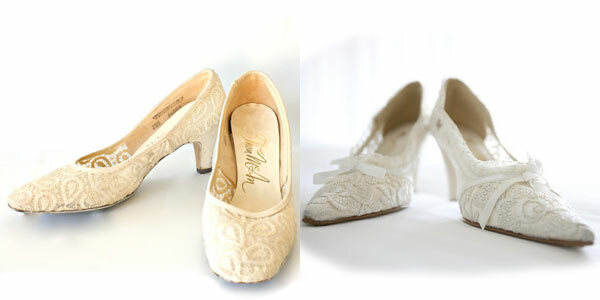 Custom decorated vintage wedding heels – With places like Etsy now very popluar you can easily find the perfect shoes and get it custom tailored to your exact specification including adding delicate vintage lace or retro styles to it. Just because you can’t find a vintage shoe in your size, don’t worry, Etsy artists can easily turn a new shoe into a vintage one for you. Pop of Color bridal shoes – Every woman likes to have a little surprise under their sleeve (or dress) that characterizes their bold favorite color from within their bridal color palette. As you walk down the aisle you can surprise your guests with a little flash of color to make your walk even more breathtaking. Remember it’s all about you on this day, let them remember it. Feathered – Feather earrings started this trends up a few years ago. Now this unique trend is coming onto the bridal scene. You don’t need to have all natural when going this route. Plenty of artists on Etsy are able to find any type of style or color to add a memorable feathery touch to the shoe of your choice too. Peep Toe Pedicure Highlight Shoes – Highlight your pedicure with a peep toe or open toed shoe that gives your wedding attendees a small flash of color. The pedicure and manicure relaxing experience alone is a solid therapy to prevent bridezilla from coming out as the wedding nears. Traditional Classic Ivory – These will never go out of Style – Most brides buy white for their bridal wedding shoes becuase it just makes sense to them. 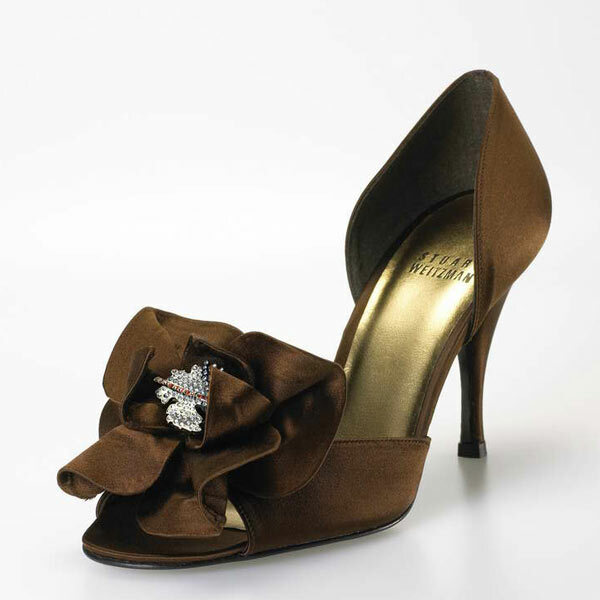 For those who want to impress – Stuart Weitzman’s Rita Hayworth Heels – the most expensive wedding shoe in the world. It hasn’t even been worn to a wedding. Just to a simple 2006 Oscar nomination that is adorned with diamonds, sapphires and rubies. We don’t have that much spare change laying around (like $3.1 Million dollars), but you can wear shoes that alone will WOW a crowd if you choose. Thanks to companies like MyGlassSlipper.com, Etsy, and other bridal publications for inspirations for this post. 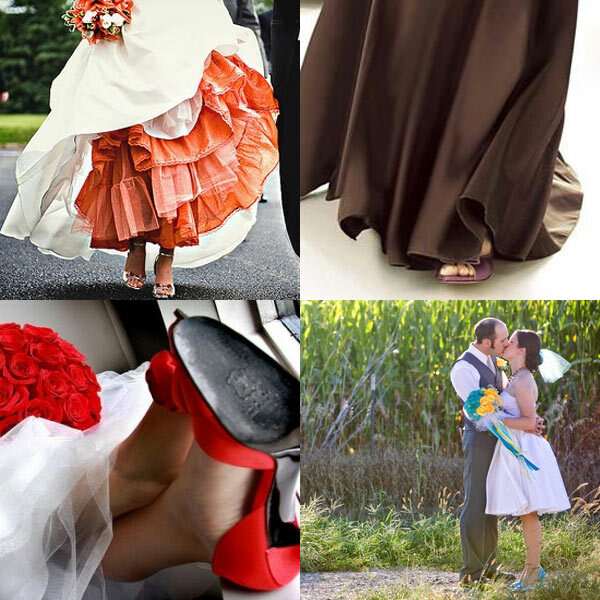 I ran across another post today that could be of benefit called “Are you a colored shoe bride?“, it’s a great little post!! !